Governments are clamouring to secure stable energy resources for the future. Much attention is focused on developing clean, sustainable, and renewable energy sources. However, the often invisible alternative is to be more efficient with the energy we already produce. This is not to say that we won’t need more energy, but rather that we can start by doing more with what we have. To give you an idea of the scale of our inefficiency, only 40% of all energy produced and consumed in the United States does useful, intentional work. 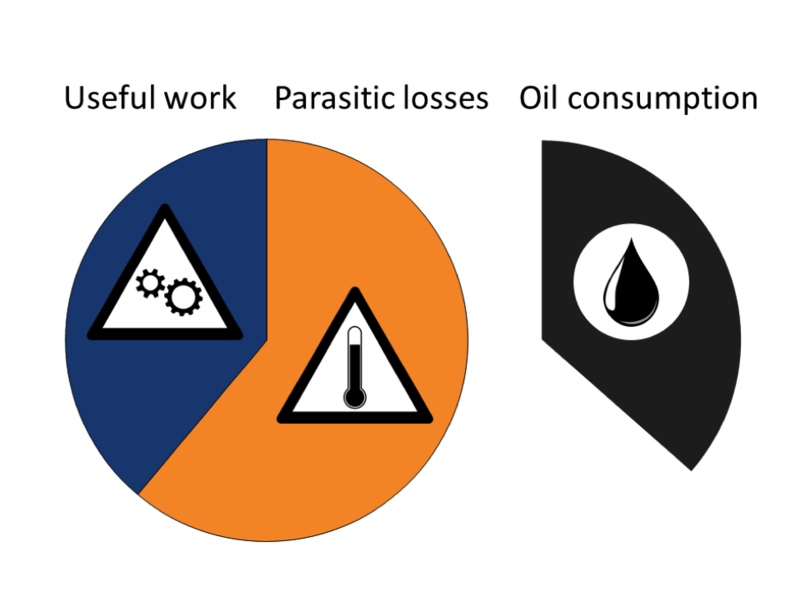 The other 60% is lost parasitically, most of it as heat (Figure 1). We lose energy when we make it, lose it when we transport it, and lose it yet again when we consume it. Figure 1. 60% of the energy we produce and consume is lost to undesirable processes. This is equivalent to 10 billion barrels of oil annually, or 140% of US annual oil consumption. Most of this energy is lost as heat, some of which can be recovered by thermoelectric generators. If we look at the absolute quantity of energy lost annually, it amounts to the equivalent of 10 billion barrels of oil, or 140% of the US annual consumption of oil. If we could reduce our waste or recover even 3% of the wasted energy, it would be equivalent to all the wind, solar, and geothermal energy produced in the US (for more detail, look at these links: LLNL Energy Flows, USEIA energy conversions). Most of the “lost” energy is heat created from inefficient conversion processes. For example, the conversion of chemical energy in petroleum products into mechanical energy by combustion, or the conversion of AC electricity into DC electricity to power our electronic devices. One way we are improving our energy efficiency is by recovering some of the heat that is being unintentionally generated. Thermoelectrics are an old class of materials that are getting renewed attention for their ability to convert heat into electricity (Figure 2). Thermoelectric devices have no moving parts, make no noise, and can be made as large or as small as required. When a thermoelectric device is heated unevenly to have a hot end and a cold end, the temperature difference creates an electrical potential across the material. This is known as the Seebeck effect, and the resulting Seebeck voltage can be used to do electrical work, such as power our electronic devices. Figure 2 (Images adapted from TECA and Snyder et al., 2008 Nature Materials, 105-114). Thermoelectric devices have no moving parts, and transform heat into electricity through a phenomenon known as the Seebeck effect: a difference in temperature along a thermoelectric material creates a voltage, which can be used to drive electric current. The size of a thermoelectric device is scalable to the application; devices can be bigger than a person, or microscopically integrated into a microprocessor. The device on the left is roughly 3 cm in length, and consists of many pairs of thermoelectric legs, shown in detail on the right. So why aren’t thermoelectrics already everywhere? Current thermoelectric materials suffer from poor efficiency, a dependence upon high cost, and a tendency to decompose at high temperatures if oxygen is present (say, for example, on Earth). This has limited their applications to niche markets. For example, thermoelectric devices are used to generate power on space missions, where reliability, weight, and volume are the most important design constraints, and oxygen is not present. Thermoelectric generators onboard space probes such as the Voyager and Voyager II have provided uninterrupted power for over 30 years. However, bringing thermoelectric materials to Earth in a big way is still a long way off. Making thermoelectric materials with higher performance is difficult because the underlying physics is complex, and there are many competing properties that are interrelated. For example, if we look at only the electrical conductivity and thermal conductivity, the ideal thermoelectric material would conduct electricity like copper and conduct heat like glass. This in itself is extremely difficult, because these properties are generally inseparable; good conductors of electricity also conduct heat well, and this correlation is so widely seen there’s a law describing the relationship. Because there are many competing and interrelated properties to be optimized, it is difficult to know how to move forward. Imagine trying to navigate New York city without a map or directions. You know where you need to be, but you don’t know how to get there, and you might not even know where you are. Researchers have the same problem with thermoelectric materials. So we created a map. We extracted data from peer-reviewed research and created a large database of thermoelectric materials. Using all of this information, we created a free, online visualization framework that allows researchers to explore materials interactively. This visualization framework helps researchers identify materials that might have promising performance. Knowing where you are is the first step to finding out how to get where you want to go. Michael Gaultois is is a 2011 fellow of the Fulbright Science & Technology Award, from Canada, and a PhD Candidate in Chemistry at the University of California at Santa Barbara. The April edition of The Global Scientist magazine was guest edited by Laura Williams, a 2011 fellow of the Fulbright Science & Technology Award, from Australia, and a PhD Candidate in the department of Ecology, Evolution and Behavior at the University of Minnesota.